So what are we talking about today on the blog? 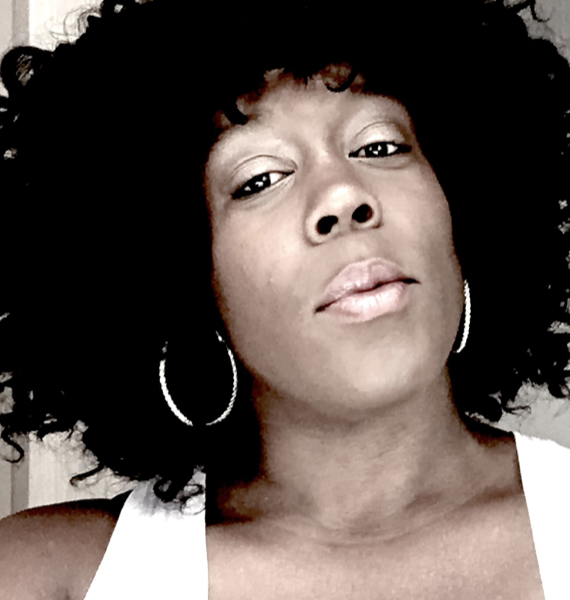 Today, I want to walk you through the 6 steps to creating, setting up and launching your profitable sales funnel. So, if you haven’t heard, I am like the funnel queen. (jk!) 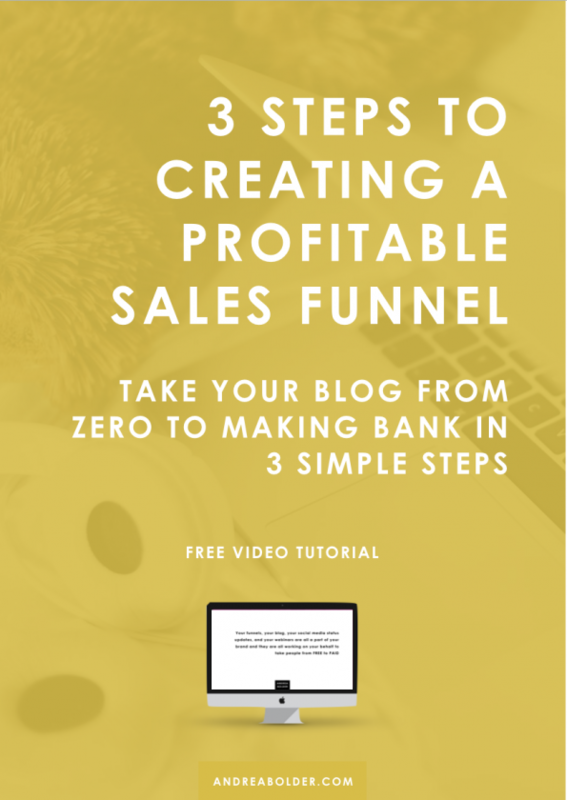 But really, I love funnels because when they are set up right, they can really turn your blog into a full-blown money making machine. If you’ve been building your online biz for any amount of time, you know it takes quite a bit of effort to get someone to sign up for your email list. And it’s even harder to flip a subscriber into a buyer. So why not leverage all that effort (and time) spent creating, marketing and promoting so that it brings in the maximum amount of profits for you? I know your time is limited. You have a lot of things going on. As bloggers and online entrepreneurs, we want to automate as many things as possible – including our sales. So, I want to share the must have systems that are going to work for you from day ONE. It doesn’t matter if your blog is a day old or a year old, set up the right systems and you can start making money right away. What if you can do something today that will bring $10 into your business every day? And as your traffic grows, it can multiply into $100 a day? And as your traffic grows some more can multiply into $1000 days? I mean come on, $100 dollars a day is $3,000 a month! That’s a game changer and that amount of money will make a huge difference! Right!! WAIT, WHAT’S A SALES FUNNEL ANYWAYS? A funnel is simply an automated system that sells for you. It moves people from FREE to PAID! To get your sales funnel set up you are going to need the following tools. OTO PAGE OR TRIPWIRE PAGE WITH A COUNTDOWN TIMER. A tripwire is a low ticket, special one-time offer you pitch right after someone opts-in to your sales funnel or email list. So instead of them going to your thank you page first, they are sent to an upsell or sales page that offers something for sell. A typical tripwire can range anywhere from $7 to $47 or more depending on the niche and industry. Now if you don’t know what a sales funnel is or what it looks like, let me give you a quick overview so you can see the entire picture. 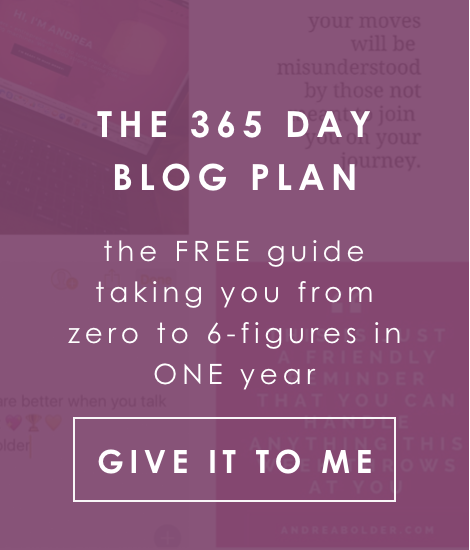 When a new subscriber lands on your blog, or Instagram page or on a pin on Pinterest and then click on a call to action to get a freebie you are offering they have two options. They can choose to opt in or they can choose not to opt-in. If they choose to take you up on your freebie offer, they are going to #1 become a new subscriber to your email list and #2 they are going to get access to the freebie you promised them. Two things are happening simultaneously. So you can choose to deliver the freebie via email or you can redirect them to a thank you page or download page at the end of your funnel. Once they are a subscriber they will continue to get email follow up messages or broadcasts from you whenever you have something to share. So what most people do is work really really hard getting people on their list but then they don’t take immediate action on converting them. How many newsletters are you subscribed to that you were hot on when you first signed up but now you don’t even look at or open up. So the power of an automated funnel and what turns a broke blog into a blog that makes bank is that it is constantly driving passive income for you and the best way to do this is by adding a tripwire. I have funnels set up that allow me to have $1000 days and it’s not just selling expensive courses, you can do this with $10, 20, $47… ebooks, challenges, webinar replays or bundles which is my favorite thing to offer. So look you guys this is so super simple and it’s something you can do too! So let me walk through an entire funnel system with you so you can see exactly how I have this set up so you can replicate this on your blog! The first step to setting up your sales funnel is to create a freebie or content upgrade that attracts a targeted audience to your blog. When you are thinking about the freebie you want to create here are a few things you want to consider. Is the freebie relevant to the product I want to sell more of? Is the freebie high converting? So for example, my 365 Day Blog Plan was received very well by my target audience and it’s one of my highest converting content upgrades yet, converting at over 75%. So, when someone enters their name and email address into the opt-in box (which I set up in lead pages), LeadPages has a lead magnet delivery system which automatically sends an email to my new subscriber with a download button so they can access their freebie. At the same time, they are added to my email list in ConvertKit which triggers a follow up welcome email (and we’ll talk about this more in sec). This is the page you immediately redirect your new subscriber to after they opt-in to receive your freebie. So, instead of a sending your new subscriber to a thank you page or sending them back to your website, they opt-in and then immediately see your one time offer. If someone decides to take you up on your offer they will hit the buy now button which will redirect them to your special offer sales page. You can also just send them directly to PayPal where they can make their purchase. This page is going to be the same as your paid sales page EXCEPT the price will be at a heavily discounted price (remember you want to make it irresistible). In the screenshot above you can see this offer is only available for 24 hours but you can set your one time offer to expire in 15 minutes, 5 days or 2 weeks. Now you may notice this sales page has two things. I use a tool called Deadline Funnel (it’s $37 a month, they have a 14-day trial, and then they also have larger plans). Another option is the Countdown Dynamite Plugin for WordPress. It’s about $10 and will be well worth the investment if Deadline Funnel is too expensive for you! How much should you discount your One Time Offer? My recommendation is that you discount anywhere between 40% and 70% percent. It is totally up to you, but it just depends on how aggressive you want to get. For the 365 Day Blog Plan: Unlocked, you can see that the discount is close to 80% off! My recommendation is that you split test and see how things covert. If a 40% discount converts about the same a 50% discount stick with the 40%. Depending on your audience, a higher price may even yield better results. So, test, test, test! Now, if you don’t have a product yet, you can sell a product that you are an affiliate of. So don’t let having your own signature product stop you! Some money is better than NO money! The only drawback to selling an affiliate is that since it’s not your product, you can’t really offer a discount. But you can offer an incentive! If someone purchases the affiliate product through your affiliate link (provided on your OTO page) you will send them an exclusive freebie, or allow them access in your Facebook group, or give them a bonus of some sort. Make sure to choose a product that your audience will like and that relates to the freebie they just signed up for. It may be a little out of left field if your reader signs up for ‘101 Ways To Make A Green Smoothie and gets a one time offer on a blogging ebook. To make sure your conversions are as high as possible, choose a product that works well with your niche. The way the deadline countdown timer works is that if the timer expires before they buy, the special offer will disappear and they will be redirected to the sales page that has the full priced offer or you can redirect them to a download page where you can include a quick snippet of how they can access the freebie they signed up for, and you can even include a list of your most popular products. If your subscriber chooses does buy your One Time Offer, after they make their purchase you can choose to redirect them to a thank you page that provided instruction on how to access to their purchased product. So, if you work on this 3 step sales funnel today, it will literally take you about an hour to an hour and a half to set everything up. And the good thing is that you can always come back and tweak it. What makes this so powerful is that all of this is automated. Pure passive income! Sometimes when people opt in to things they are quick to check their email or get distracted. So, one of the things you can do is double back and add your OTO (one-time-offer) in the welcome follow up email that all your new subscribers get. Basically what you are going to do is create an email with a call to action and a link that invites your subscribers to take advantage of your special offer. Here is an example of the broadcast email I send out to my list about the 365 Day Plan Unlocked Bundle! So, when someone clicks the link from the email you just sent them, they are going to be redirected to the SALES PAGE WITH MY COUNTDOWN TIMER. Here you can see the offer is valid for 24 hours. Again they are either going to buy or leave the page but if they try to come back later and try to click the link after the offer has expired they will be taken to the SALES PAGE WITH THE FULL PRICED PRODUCT. There you have it. When you’re ready to set u your own money-making sales funnel, go back through this blog post, implement the steps, and if you have questions…post them here in the comments below. So, I hope this was helpful. Let’s make some money! So if you’re ready to start making money with sales funnels, make sure to check out the course This Blog Makes Bank. ARE YOU NEW TO SALES FUNNELS? WHAT QUESTIONS DO YOU HAVE ABOUT GETTING STARTED?